as you know, I started my term as new Arb|Aut President this January. I am looking forward to this new challenge. I wish to thank Christian Klausegger for his excellent work this last two years. The new year took off with the highly successful VAD2018 where more than 230 international arbitration practitioners from around 30 jurisdictions joined us in Vienna. After an outstanding keynote speech the conference was filled with two days of stimulating discussions on the topic “Venturing into New Fields and New Ways of Arbitration”. 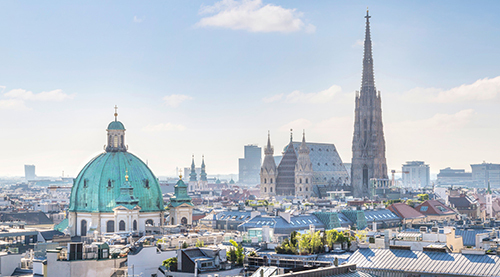 Visit our Gallery for pictures of this event and mark your calendars: the next Vienna Arbitration Days will be held on 1-2 March 2019! at Dachgeschoss of the Juridicum. It will be devoted to a presentation and discussion of the most important new features of the VIAC Arbitration and Mediation Rules 2018. There will be ample opportunity to discuss the new Rules with the members of the VIAC Working Group. The Q&A will be followed by drinks. To register click here, for more information see the program. "Soft Law in International Commercial Arbitration". at Kleiner Festsaal, University of Vienna, Universitätsring 1, 1010 Vienna. After the Lecture there will be a discussion chaired by Professor Paul Oberhammer (University of Vienna) with Günther Horvath (Freshfields, VIAC) and Patricia Shaughnessy (Stockholm University; SCC) as panel speakers. For more information visit our Events. Be advised that due to the size of the venue, admittance will be limited and will be allocated on a first come first serve basis.